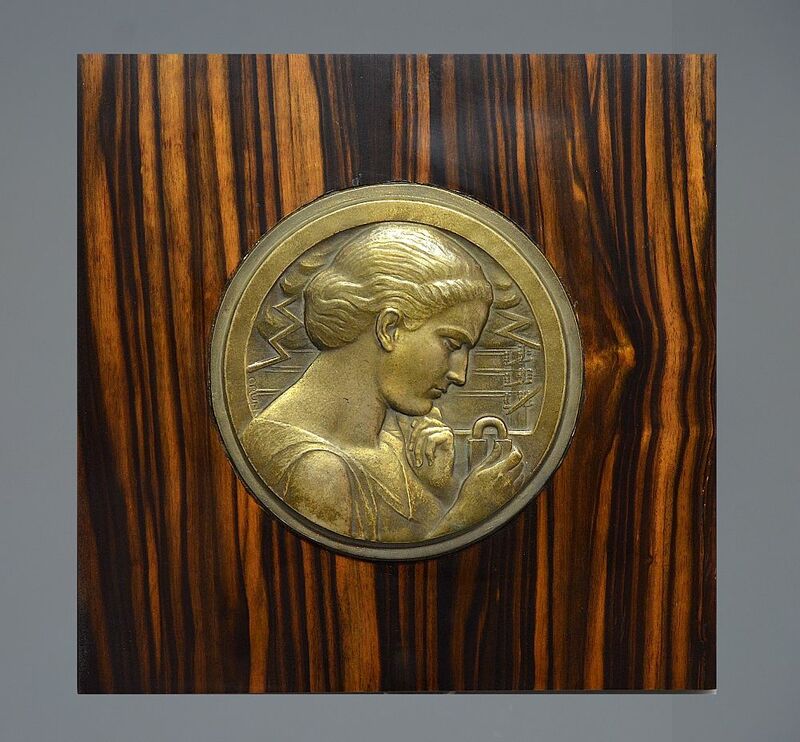 This fabulous circular bronze plaque is by Grun. Made in France during the Art Deco period it depicts a woman in profile looking from left to right contemplating an object in her hand with electrical poles and lightning bolts in the background. Signed "GRUN" on the inner rim. We have had the plaque mounted on a macassar ebony veneered wooden block with black lacquered sides. The back has been covered with black baize and has a ring fastener to enable it to be hung on the wall.